Prospector Zeke is back in Wysteria with a new quest. He wants us to find the Wallflowers. This is a smaller Zeke quest, with only four to find. Here are their locations. 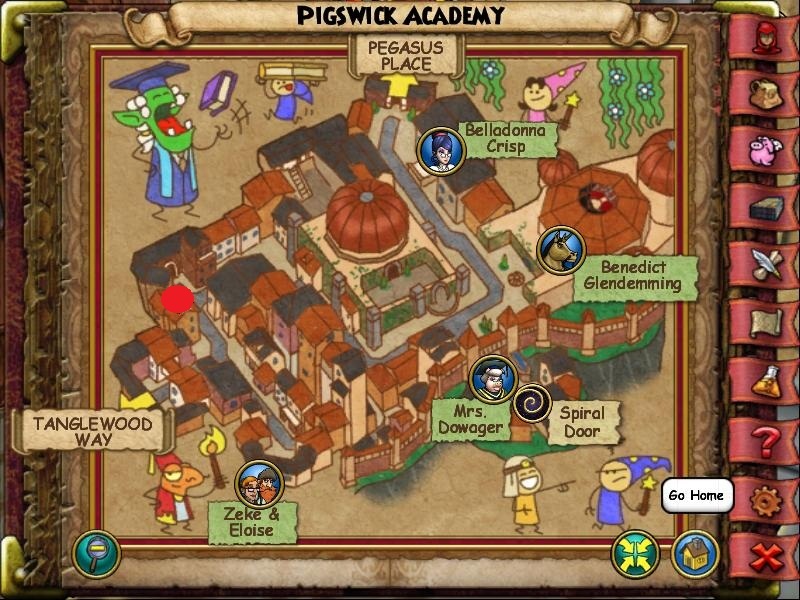 Pigswick Academy - Start near Zeke and head up the street past Tanglewood Way and the Wallflower is on the left. 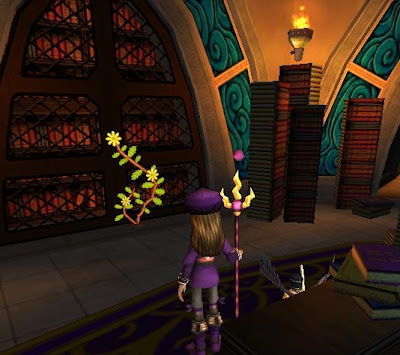 Library Archives - I couldn't get a map for this one, but this is where it is. Go into the Archives and head straight through the first room and down the ramp. 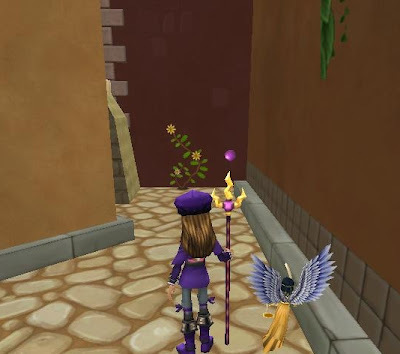 The Wallflower is in the second room practically straight ahead. 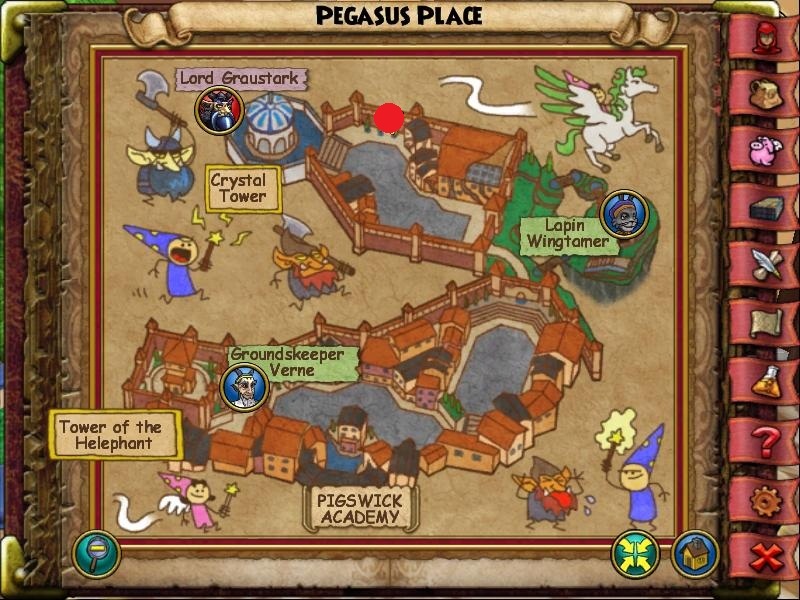 Pegasus Place - Go through the area with the pegagsus stables and through the room where the goblin portal is. Exit that room and go to the right. Before you get to the Crystal Tower, there is a nook in the wall, off to the right. The Wallflower is in there. 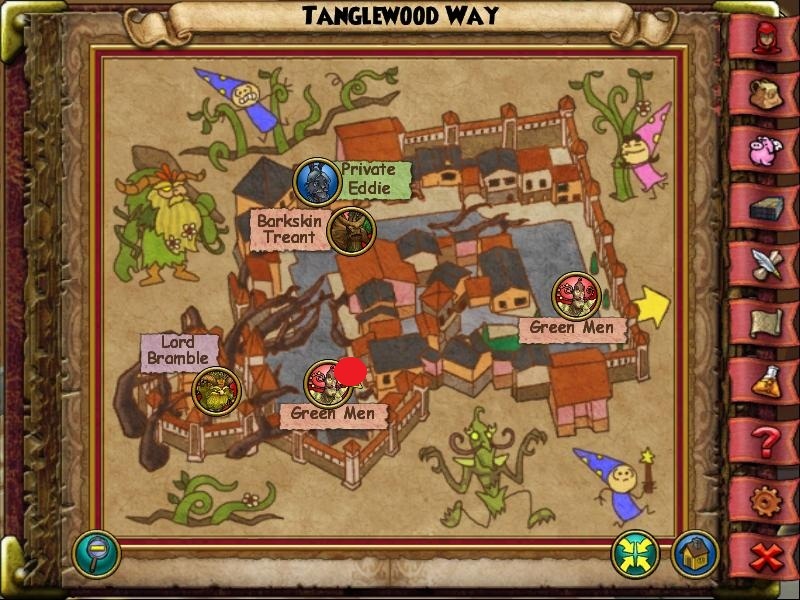 Tanglewood Way - The Wallflower is located directly across the street from Lord Bramble's Tower. will u be able to post one of these blogs on zafaria when i comes out. 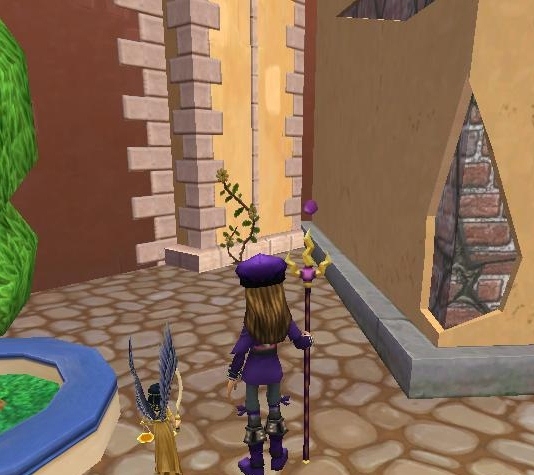 Last night, I hosted my second official party: Wizard101! 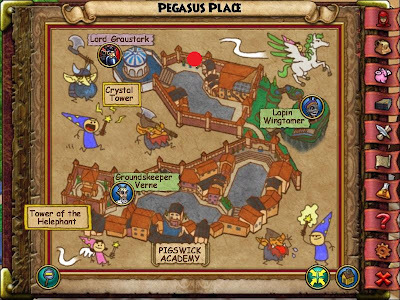 I was happy to see so many Wizard101 attended the party, dedicated to polar bears. THANK YOU SO MUCH HAVE BEEN STUCK ON THIS FOR AWHILE. 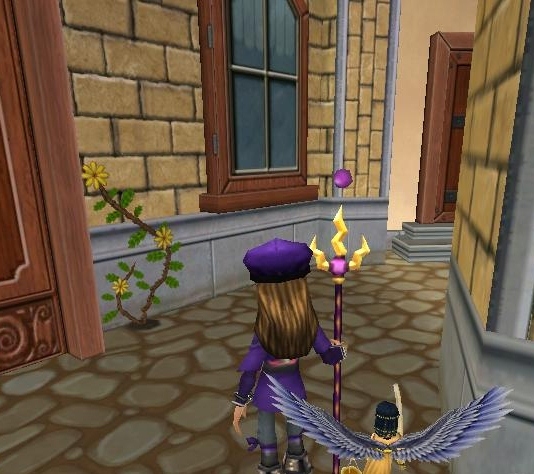 FROM WIZARD 101 SCREEN MARISSA TITANSLINGER.